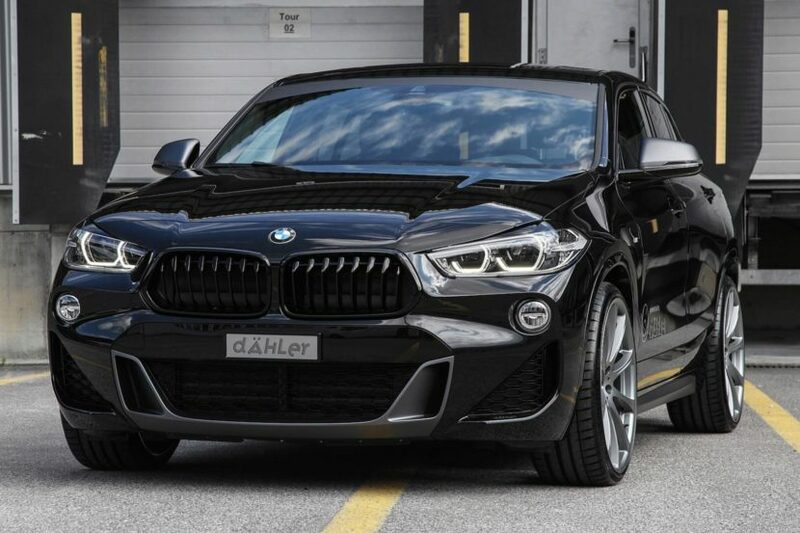 German tuning shop Dähler unveils their aftermarket program for the new BMW X2. 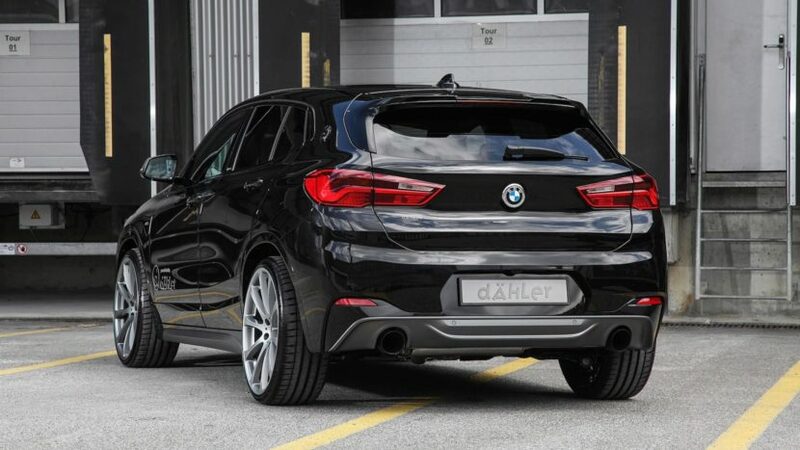 Using the Competition Line package as the name for the tuning package, Dähler gives the X2 a more aggressive look paired with a darker theme. To achieve that, the chrome inserts and trim has been painted in black, matching with the exterior color of the car. 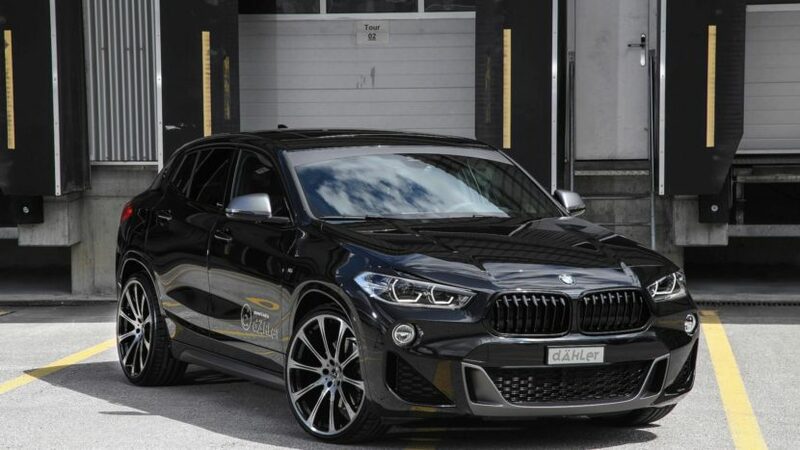 The only exception is the lower insert of the front bumper which maintains a dark grey paint job. 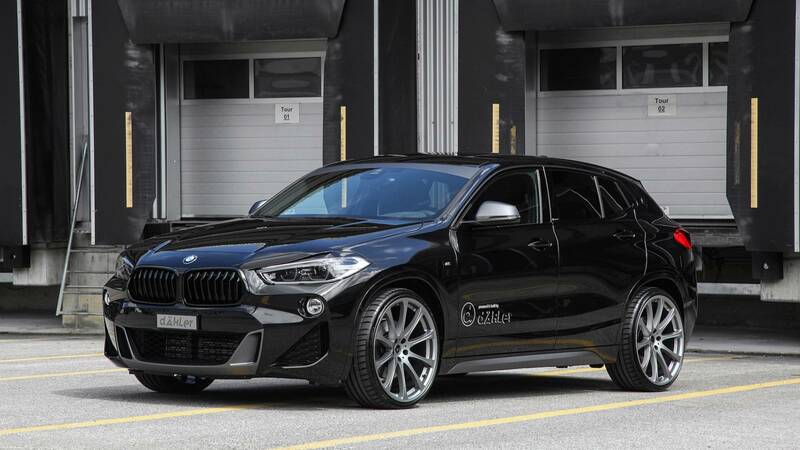 Furthermore, the tuning program gives the X2 a series of custom wheels, a 10-spoke design, available in 20 or 21 inch sizes. The finishes are offered in silver, but future colors and wheel styles will be offered by the German tuner. 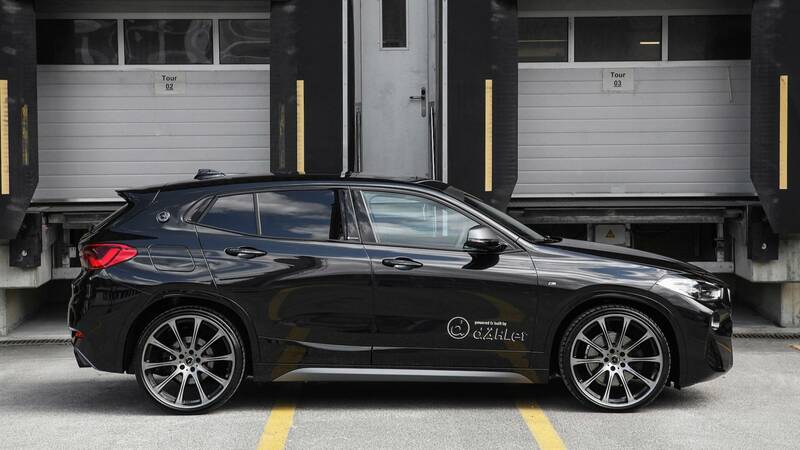 In the power department, Dähler has done some work to the four-cylinderr petrol and Diesel engines. The petrol 118i now produces 158 horsepower and 197 pound-feet (264 Newton-meters) of torque, up from 136 hp. The 120i is more powerful too, producing 223 hp and 250 lb-ft (340 Nm) of torque. The diesel options also get a bump; the 18d produces 174 hp and 287 lb-ft (390 Nm) of torque, while the 20d produces 220 hp and 331 lb-ft (450 Nm) of torque. The ride quality has also been improved, thanks to a sports spring kit, while the sound can also be enhanced by custom exhaust systems.